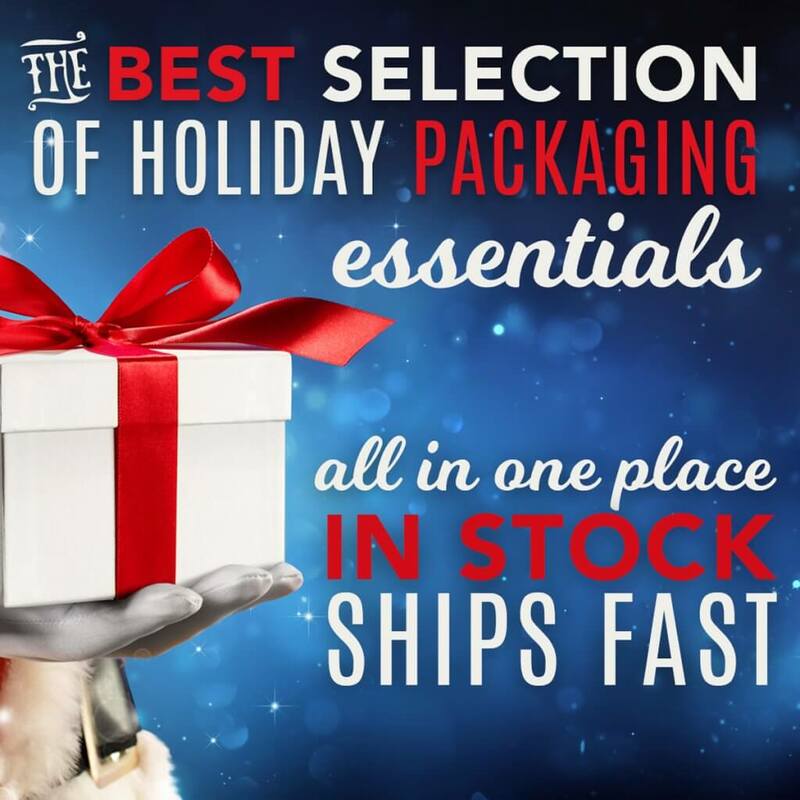 Nashville Wraps has all your holiday packaging essentials in stock and ready to ship now! Shop for bags, boxes, gift wrap, cello, ribbon & bows, because we’re your one-stop shop for all your Christmas wrapping needs. Browse our latest specials. Save some green while celebrating a green, eco-friendly holiday with 100% Recycled Kraft Shopping Bags. These bags are on sale and come in bulk cartons, small packs, and assortments. Another essential, Color Tissue Paper is on sale! We carry the best online selection of tissue paper in bulk reams of 480 sheets, half-reams of 240 sheets or 24-sheet packs. All made in the USA from recycled paper, shop every color of the rainbow including Christmas prints. Add sparkle to your Christmas wrappings with metallic tissue or glitter tissue paper. Finish off your gifts with Raffia Ribbon for an easy way to add a pretty bow. Shop dozens of colors and styles including matte, pearlized, paper, 3-in-1 and natural raffia. Browse all our holiday packaging essentials. Nashville Wraps is here for your business! Order online or call us at 1-800-547-9727, M-F, 8AM-5PM CT.